If mowing the lawn is one of those jobs you avoid, then perhaps a robot mower is right for you. John Deere's Tango, makes cutting the grass simple: just set out your boundaries and your mower does the hard work all by itself - even making it's own way back to the docking station once the job at hand's done, or the battery is running low. Is a robot mower right for me? You don’t need a neat rectangular lawn – oddly shaped gardens, slopes and obstacles like flower beds and trampolines are all absolutely fine. With two caster wheels at the front, and independent drive wheels at the back, the Tango can turn on the spot for quick manoeuvrability. You can schedule your grass cutting to a specific time, and on specific days of your choice - easily changeable using the straightforward controls. The mower is designed to return cut grass back to the lawn, where it composts down naturally - leaving a healthy lawn and great finish. The single mulch blade with an easy-to-adjust cutting deck means you can set your grass height to your preferred level and let it create the perfect cut for you. 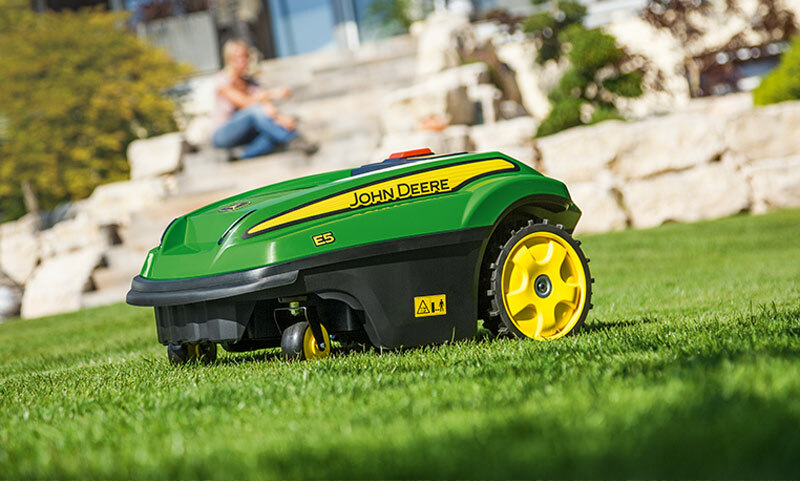 The John Deere Tango will automatically cut the grass at whatever time you ask, and charge itself when it's low on battery - so you can leave it, happy knowing it's looking after your grass. 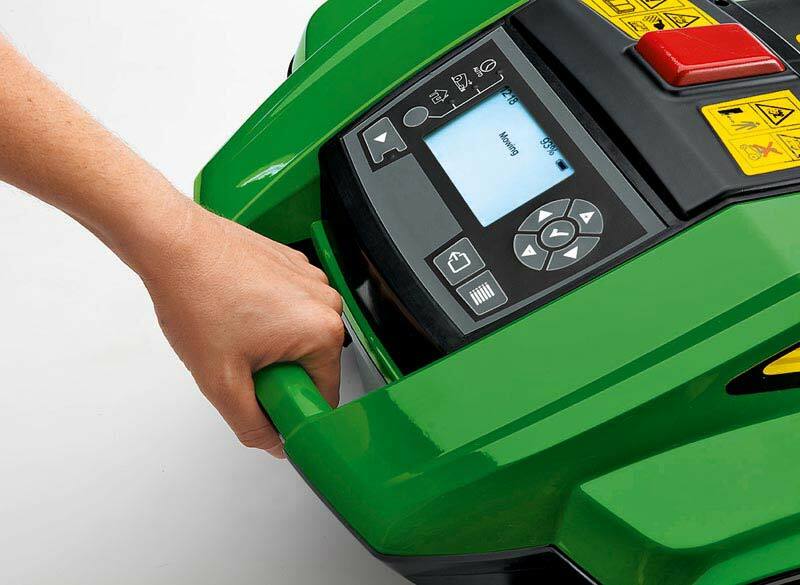 There are a number of safety features built into the mower in order for it to quickly stop when there's a problem. Any temporary obstacles, such as flowerbeds or paddling pools are easily manageable for the Tango using its impact sensor - as soon as it feels a gentle bump, it'll stop, reverse, and look for another way around. If the mower is lifted or tilts in a way that would expose the blades, the blades stop and the mower will stop moving until it's placed fully back on the ground and restarted. An obvious STOP button ensures it can be stopped when required without having to chase the machine around the garden. The Tango produces the perfect cut, with minimum effort - and when you buy a John Deere from Powercut, you also get fantastic support from us - not only at the time of buying, but for the lifetime of your mower. To find out more about whether a robot mower is right for you, give us a call and we'll talk you through your options.